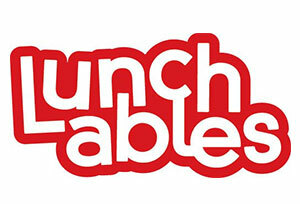 Kraft Lunchables found a way to educate consumers about a new offering in a well-established product line by selecting a mix of out of home formats to provide multiple levels of engagement in a market. 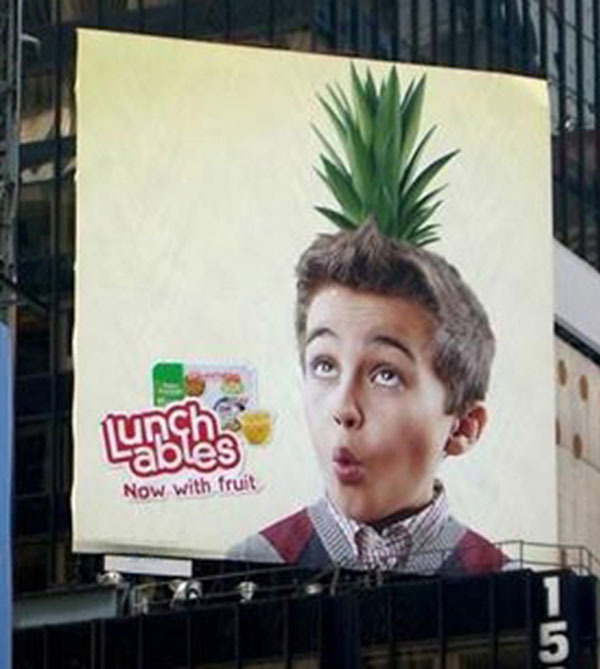 Lunchables was doing something big and unexpected in 2011 – adding fruit! 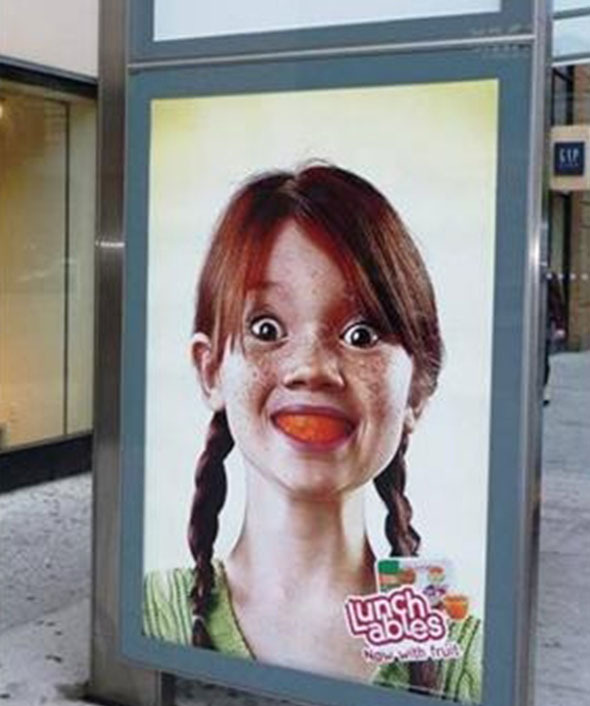 The planning agency was challenged to find interesting ways to wow consumers with fruit in unexpected places…in a BIG way. The campaign was targeting women 25-49 with an out of home budget of $3 million. The more traditional out of home formats focused on high-impact locations, such as large wallscapes, directly targeting educational “co-view” areas such as museums, zoos, aquariums, etc. 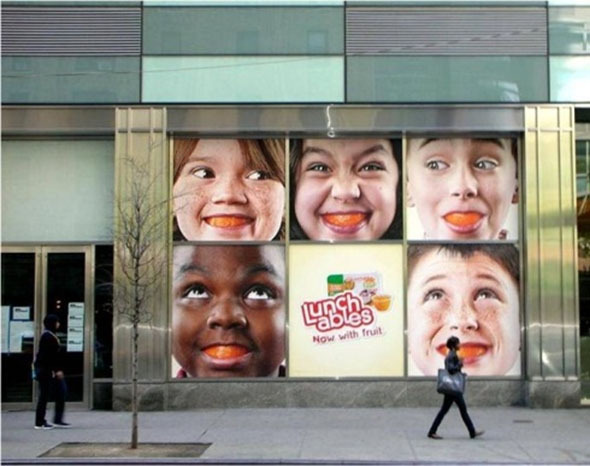 Storescapes and transit shelters were included to increase visibility in high-pedestrian-traffic areas, while interactive digital executions in key markets added an additional level of engagement. Over the course of the campaign, the interactive storefront executions alone were utilized by consumers to capture close to 90,000 photos and submit approximately 8,000 emails. The traditional media in the campaign generated approximately 46 million audience impressions against their target audience (women 25-49).